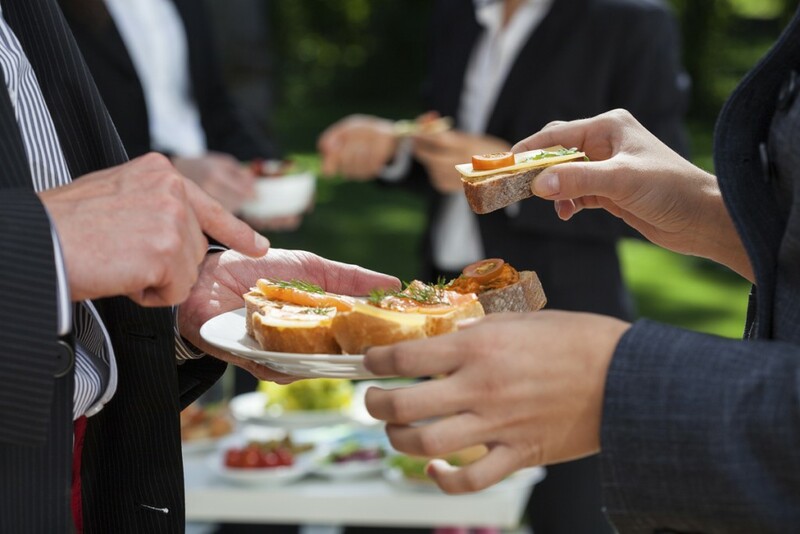 Sharrons Event Catering Company will meet all your corporate event catering requirements from a business meeting for a handful of delegates, to a Company open day for hundreds of clients and employees. We have a wealth of experience in all areas of corporate catering and corporate event planning and understand that every corporate catering event is different; with this in mind Sharrons Event Catering Company’s Event management team will meticulously plan your event from conception to completion. Corporate Events & Business Meetings, Promotional Events, Award Ceremonies, Seminars, Conferences, Team Building Days, Working Breakfasts and Lunches, Corporate & Event Hospitality, Business Meetings, Marquee Events, Open Days, Product Launches. Our corporate catering services can be also brought direct to your lunchtime meeting. With an impressive range of lunchtime buffet catering delivered directly to your office. Using only the finest, freshest ingredients we can provide perfect business lunch catering, preparing your menu in our dedicated kitchens to your requirements. Whether you require a gourmet sandwich lunch, hot or cold buffet or even a restaurant style lunch in the boardroom we can fulfill your requirements. If you want to impress that new client, keep the board meeting going or just thank your workforce, we are here to help. With extra special menus to really impress, it’s a lunch that’s more special than just a pub meal! For your Corporate day events, we also offer a full day service where your guests will be greeted upon arrival with tea, coffee, fresh juice, fresh fruit, bacon roll or Danish pastries, the perfect start to the day. At the all-important break your guests will be offered a choice of beverages accompanied by fruit and speciality biscuits. Our events team will offer a range of lunch menus for you to choose from, offering something for all tastes and nationalities. The day will finish with a choice of beverages, fruit and homemade cake the finishing touch before a long journey home. Sharrons Event Catering Company will uphold your brand and reputation. Our service is professional, personal, discreet and efficient and in addition to providing the corporate catering food we can supply waiting staff, crockery, linen and glass hire and any further equipment you require to make your event extra special. If you are having a corporate event that needs catering and event planning in London and the south east of England including, Essex, Hertfordshire, Kent and surrounding areas. No matter the size of your event, how simple or complex your requirement, please do call or email Sharrons Event Catering Company’s friendly event team to discuss your needs and receive a no obligation quotation.